At Duralabel, everything revolves around improving quality, economy and embellishment of the customer’s products. The customer’s impression about a product and its company is reflected by the quality of the label used for product packing. The team at Duralabel, consists of experienced and innovative designers for labels and sticker. The company has a core team of expert and experienced professionals from the sticker printing industry who possess sound understanding of paper industry and embark on all assignments within the stipulated deadline. At Duralabel the company constantly strives to meet the specific needs by customizing wide range of Stickers and labels. The clients have been widely appreciating the effort of the team, which has helped to garner huge demands from the existing clientèle as well as the new ones. The team constantly strives to devise new and innovative solutions to suit the requirements of the clients. The company also has a well equipped manufacturing unit that comprises state-of-the-art infrastructure and ultra modern technology, along with efficient staff. Duralabel engaged in providing wide assortment of stickers. These stickers are used in various industry for laminating purposes with appropriate company labels. We make use of high grade raw material which we require from reliable vendors of market. We are providing these stickers at industrial rates. We specialize in our ability to manufacture custom printed stickers and committed for providing highest level of customer service including swift deliveries. We are known for delivering ultimate customer satisfaction of our client at every steps and are of most trusted company in India. Duralabel is also engaged in offering customization facilities for its clients from different industries. Customization facility is provided as per the requirements and specifications of the clients.Dura label Graphics is one of the leading manufacturers in label, barcode printer and sticker and also importer and exporter of Stickers and Labels in all over Mumbai and India. The team has the ability to understand the exact printing requirement of client and provide a solution accordingly. 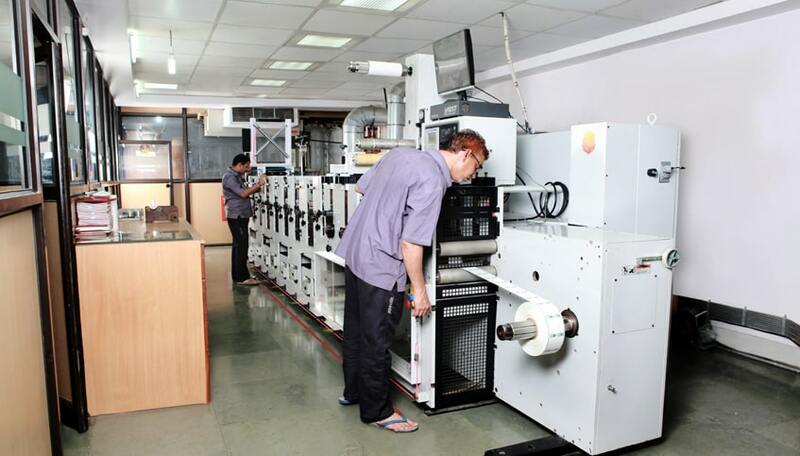 Moving ahead the company plans to invest in state of art machines and latest technology products for quality stickers and labels.